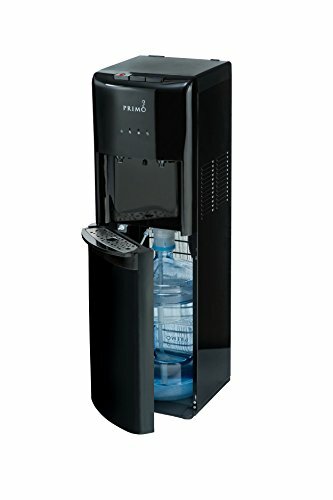 Now every member of your family can enjoy the delicious taste of Primo water with the new Primo Water Dispenser with Pet Station. Primo brings its advanced technology in water cooling and heating with an innovative design that delivers refreshing water to your cat or dog at the push of a button. A recent study has shown that bulk water users drink 25% more water. 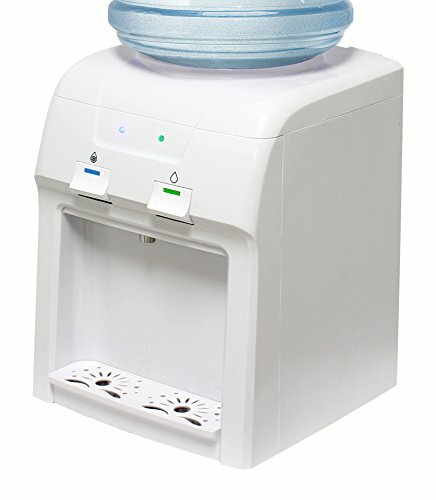 With a Primo Water Dispenser, you can enjoy cold or hot water and your cat or your dog can enjoy refreshing water at the push of a button. 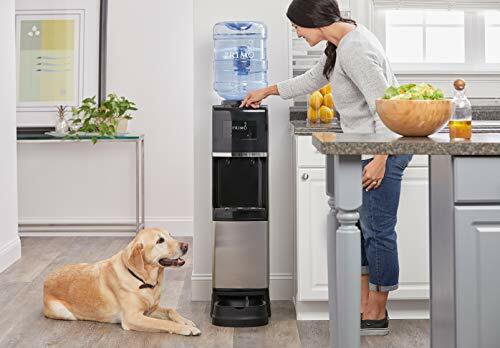 The Primo Water Dispenser with Pet Station features the innovative flex design, allowing you to install the pet bowl on the front, right or left side of your water cooler, fitting virtually anywhere in your home while providing easy access for your cat or dog. 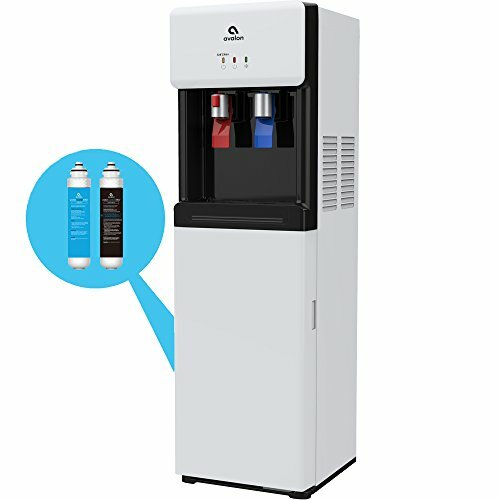 The Primo Water Dispenser with Pet Station offers the following features to make your life easier: a spill-proof bottle holder with leak guard that makes loading bottles easier, dishwasher-safe drip tray and pet bowl plus LED nightlight. Additionally, the internal water reservoir is stainless steel, which aids in the prevention of bacteria growth. Give your family and your pets nothing but the best with the Primo Water Dispenser with Pet Station. *** the warranty is only valid if purchased from the authorized seller Reil Machines. Warranty service will not be provided for product purchased from other sellers. 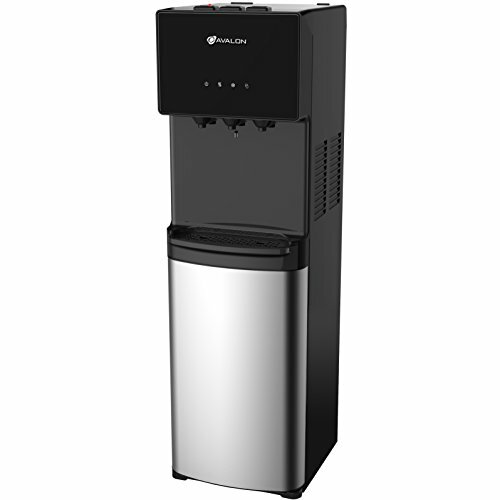 *** The most important feature of a water cooler is how well it cools. 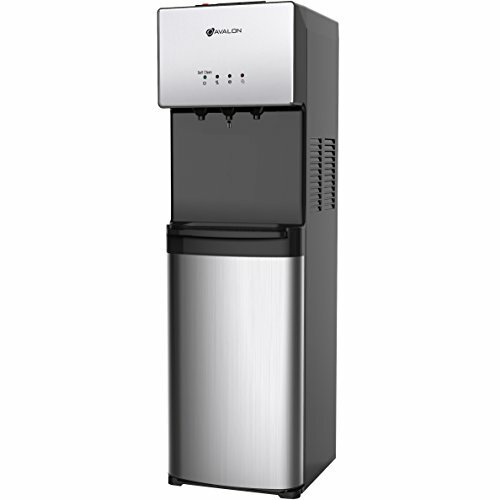 Many water cooler brands struggle to maintain 50 F, which is simply not cold enough. 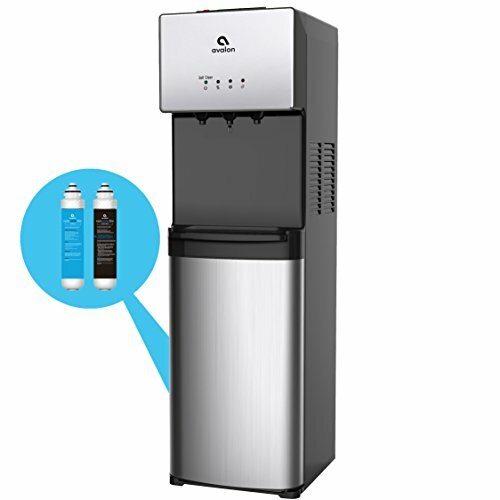 Whirlpool water coolers use a different type of cooling technology that forms ice inside the water tank, delivering refreshingly cold 40 F water when you need it most, like during a summer heat wave. The commercial grade engineering features a compressor and thermostat that outlasts others by cycling a fraction of the time others do. The sturdy solid steel frame is built to take hundreds of pounds of top pressure. The faucets are engineered to be unbreakable with normal use, unlike many others that break off easily. Compatible with both 5 and 3 gallon bottles. 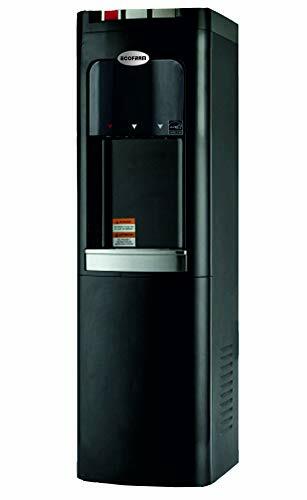 The Vitapur Countertop Water Dispenser features easy to use push button controls and dispenses cold and room temperature water. 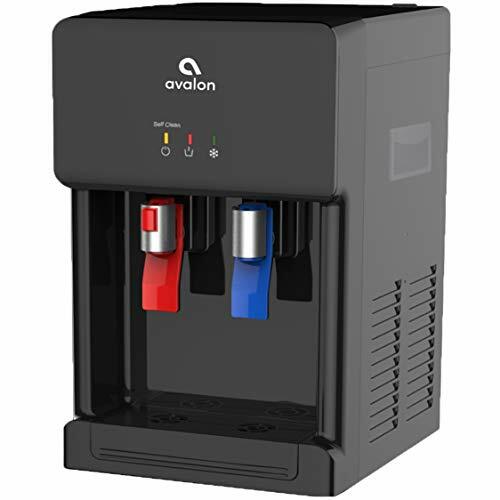 This compact design accommodates 3 or 5 gal water bottles and the semi-conductor electric cooling module provides whisper quiet operation. Convenient LED lights indicate power and when water has cooled to an ideal temperature. The removable drip tray & grill make clean up easy. 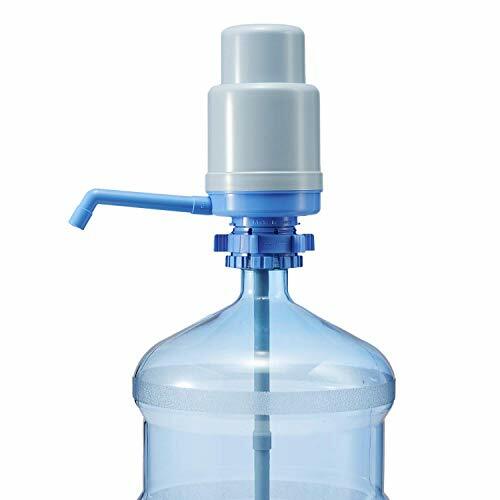 The USB Charging drinking water pump fits for 2,3,5 Gallon water bottle without pry the lid(2.16 / 55mm neck Diameter). 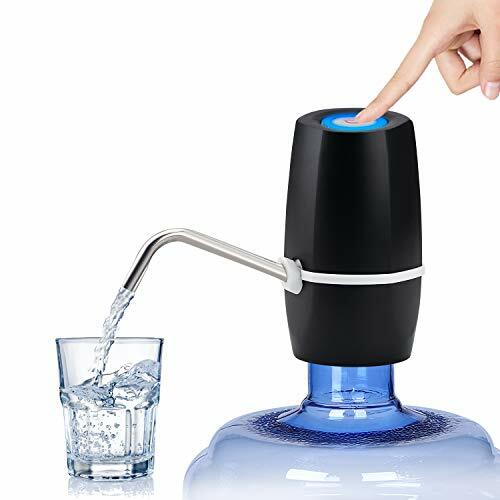 Food grade water pump, BPA free, no toxic, no smell. And rechargeable water pump can be used for around 3~5 bottles water after full charged. 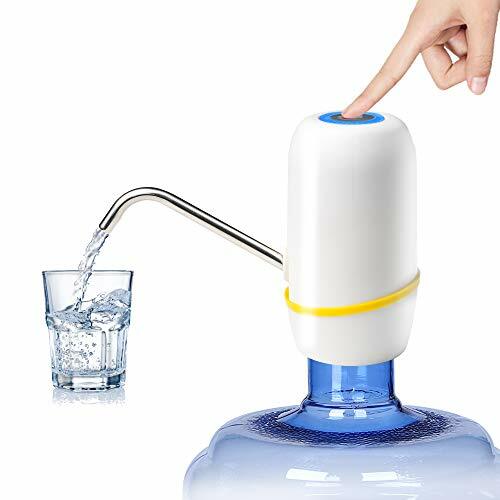 The electric water pump is family health drinking water necessary, very convenient and useful. BPA Free & Safety First BPA free, Food grade silicone hose, 304 stainless steel, High density ABS plastic, no toxic ,no smell, cold and high temperature resistance. Large Capacity Rechargeable Battery Built-in 1500mAh rechargeable lithium battery, can be used to pump out 4-5 water jugs after fully charged. No need to charge every day, very convenient. Safe Material: The drinking water pump is made of high quality ABS plastic shell, food grade silicone tube and 304 stainless steel outlet pipe, no toxic, and no smell. USB Rechargeable Battery: Built in rechargeable 1800mAh battery. 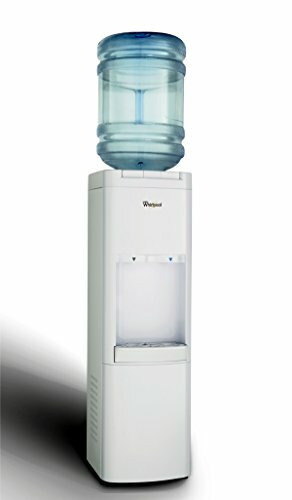 Can used for 30-40 days or around 3-6 bottles of 5 gallon water after fully charged. No need to charge every day. Easy to Use & Clean: Simply fasten the small pump on the bottle mouth. 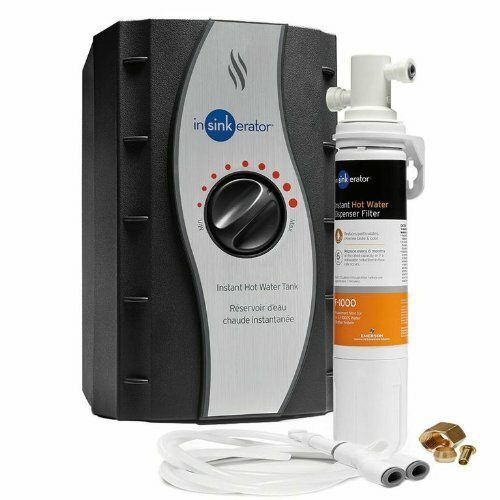 Easy to install and One key switch operation for fast pumping. Disassemble tube and 304 stainless steel water outlet for easy cleaning, it's easy way to drink health water. High Compatibility: The electric water pump is high compatibility for gallon barrels with a 2.16-inch (55mm) neck. No need to pry the lid, suitable for home, kitchen, office, school, factory etc. 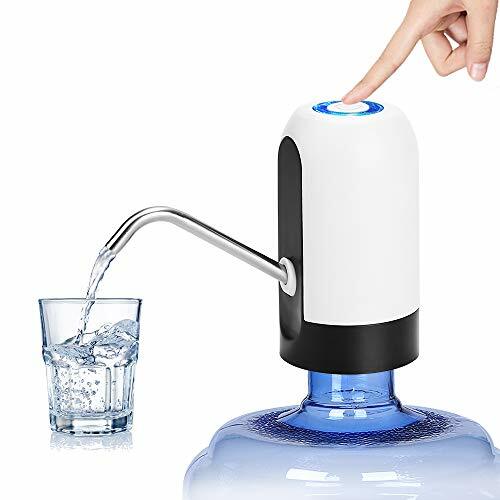 100% Money-back Guarantee: The water pump for 5 gallon bottle offers lifetime quality warranty, considerate and timely after-sale services, eliminate all your worries about getting this electric drinking dispensing pump for gallon jug. USB rechargeable water pump with food grade silicone hose, BPA free, no toxic, no smell. Built-in 1200 mAh lithium battery, fully charged can be used for 30-40 days or 4-5 bottles of 5 gallons water. Fits for 2,3,4,5 Gallon water bottle and other standard size bottles, don't need to pry the lid. Safe Material BPA free, food grade silicone hose, 304 stainless steel, high density ABS plastic shell. USB Charging Built-in 1800mAh rechargeable lithium-ion battery, can be used to pump out 4-5 water jugs if fully charged. 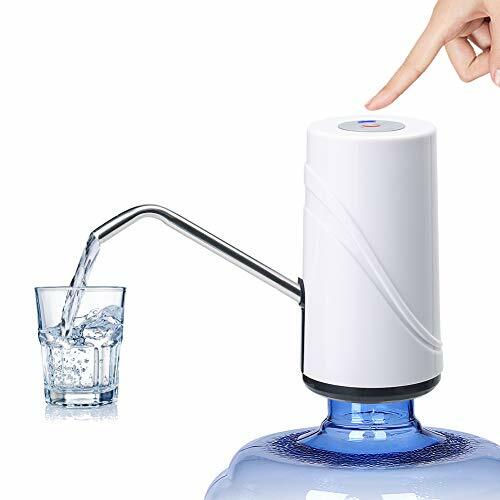 Safety & Health Electric drinking water pump with food grade silicone hose, 304 stainless steel, high density ABS plastic, BPA free, no toxic, and no smell. USB Rechargeable Battery Built in rechargeable 1200mA lithium battery. 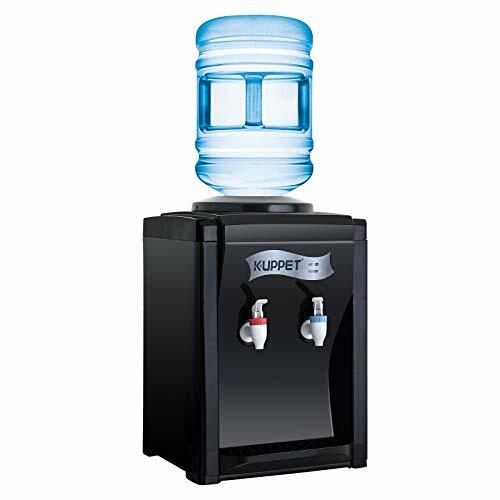 Can used for 30-40 days or 4-5 bottles of 5 gallon water once full charged. No need to charge every day. High Compatibility The electric water pump is suitable for most 5 gallon water bottles. And it is also suitable for gallon barrels with a 2.16-inch (5.5cm) neck, don't need to pry the lid. Very convenient and useful. Easy to Use Simply fasten the small pump on the bottle mouth. One switch operation, easy To Install and use, totally hassle free even for kids and elders. 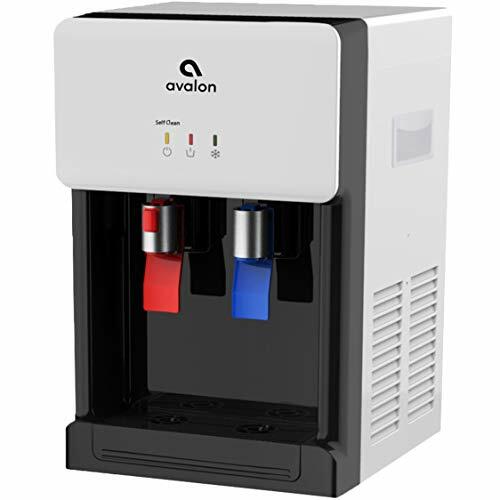 100% Guarantee Automatic water dispenser come with 60 days money back guarantee and lifetime warranty. A friendly customer service is always waiting you. An absolutely risk-free purchase.